We first sat down with Paul in November of 2016, when he had recently joined the orchestra as our new Principal Clarinetist. This week, he will be featured as our soloist on Mozart’s Clarinet Concerto in A Major, K. 622. We checked in with Paul this week to talk about the upcoming concert. What an exciting event! Can you tell us a bit about what this concerto means to you? The Mozart clarinet concerto is the most beautiful piece of work written for clarinet. The technique, expression and musical language used by Mozart is the utmost art itself that communicates with people in the most beautiful and genuine way. And I think it speaks more or less the same to all of the clarinetists and musicians in the world. Are there any special challenges to playing Mozart, as a clarinetist? It is challenging for me to present “everything” in the music that has to offer. Calmness, anger, happiness, cries and such feelings are which I am trying present throughout this concerto, and it is very challenging not only playing-wise but planning-wise. In a practical sense, I am playing this on a basset clarinet, which is the original instrument that Mozart wrote for, and the horn has four more lower notes (covers down to concert A2) that are used in several passages in the whole piece. Sometimes I have to use my right thumb, which is not used in soprano clarinet playing, to press the key down. Is this a common piece for clarinetists to play? This is the most important piece for clarinetists so it is being played in every audition situation you can imagine(at least in professional settings as well as conservatory entrance auditions). So yes, it is a very common piece. Have you performed it with orchestra before? I have performed it two times with modern orchestra, and once with period ensemble with period basset clarinet. My most recent performance was October 2017 in New York City. How do you prepare differently for performing as a soloist than you do for sitting in the orchestra? Obviously soloing in the orchestra, you have to be musically present at all times. So I generally imagine to play bigger. In the orchestra in contrast, generally when you play together, you really want to think about blend your playing. Also you need to be ready to be present visually as you are soloing, as you have limited opportunities to gather yourself and cleaning the instrument etc., whereas when you play in the orchestra and you have 40 measures of rest, you can sometimes think of “Do I want tacos or sliders afterwards?”. Besides your work with the Philharmonic, what other kinds of performances are you involved in this spring? I was recently in Orlando and Fort Lauderdale to perform compositions by students. It was all world premieres so it was a lot of fun performing, working with them and getting to know them. When I go back to the City, I will appear on Carnegie Hall for an orchestral concert with bass clarinet, and I have few woodwind quintet concerts lined up in May and June. If you could name something about yourself that people in the audience might never guess, what would it be? I was born and raised in Korea, and I spent my half of US years (seven) in NY but I am a die-hard Los Angeles Dodgers fan. The Philharmonic collaborated with Cirque Musica for “Cirque Musica Holiday Presents: Believe” at the Floyd L. Maines Veterans Memorial Arena on December 7, 2017. This exciting show also sold well and included various circus performers including acrobats and aerialists. As we look back, we anticipate what lies ahead in the area of pops concerts and collaborations…so many creative possibilities for this orchestra! Beginning in April, 2017, the Binghamton Philharmonic presented its finalists for the Music Director position. The musicians of the orchestra and concertgoers have provided input as to who the next Music Director should be: the announcement is yet to come! 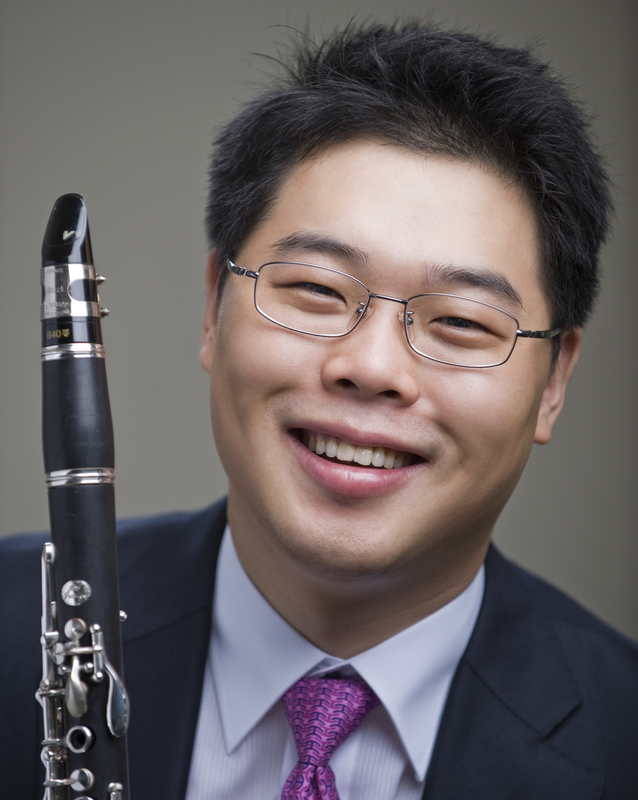 Paul Won Jin Cho won the Principal Clarinet audition in May. We are thrilled to have him join our orchestra. Recently we spent a little time getting to know Paul and wanted to share that conversation with you. Enjoy! Why did you choose to become an orchestral musician, and why your particular instrument? I remember getting ready for the audition for Seoul Youth Symphony Orchestra when I was in high school and I had to prepare excerpts from Beethoven 6th and 8th symphony. I got the recordings of Karajan and Frutwaengler and I remember being in awe of how magical it is to hear a symphony orchestra even from old recordings. The preparation led me to have much more desire to be in the orchestra and to be an orchestra musician. What is it that you like about working as an orchestral musician? Orchestral music is one of the most profound musical activities that a musician can create. In order to bring the best of it, one must understand their own part, the score, the people you are playing with, and the audience whom you are playing for. It is not an easy job. Where did you study and who do you consider to be your primary teachers? I studied at Korean National University of Arts and Seoul National University for my bachelor and masters degree. My primary teacher there was Dong-Jin Kim. I came to US and studied with Yehuda Gilad at University of Southern California, and after that I move to the East Coast at Yale School of Music to study with David Shifrin. Do you have a favorite humorous musical moment to share? It was a 1 pm afternoon performance. At noon that very day, there was an automatic password change to the whole venue and so the computer settings would not work. For some reason, they could not figure out password. So the synthesizer didn’t work properly. The concert time came and we waited onstage. It was webcast, and everyone was wondering what would happen. All of the players were starting to pass around microphone and players were telling jokes to pass the time. We ended up not performing it because the Adams was copyrighted material and we didn’t want to get into trouble having it performed without original synthesizer in it. Do you have a musical highlight to share? A moment when you were truly moved? Playing Nimrod from Enigma Variations always gives me goosebumps as I played it as a theme/farewell song for an unforgettable summer orchestral festival I had as a member of Asian Youth Orchestra. I also cannot forget playing Brahms, and Robert Fuchs clarinet quintets with my dear friends. What is something you think people in the audience might find surprising about you? I might look like a college student, but I have a 7-year-old daughter. What do you do with your time outside of performing with the Binghamton Philharmonic? During the season, I follow Dodger baseball. I play with ensembles such as Decoda and Quintet of the Americas, which are based in NYC. I love dining time with my daughter and my wife. You recently won an audition with the Binghamton Philharmonic. What was that experience like for you? Did it feel different from other audition experiences you have had? I was happy that the audition lasted for a day. Many orchestral auditions take multiple days to process. It is my first audition that I won, so I still cannot describe how I felt after hearing the result. Do you have a strict regimen in preparing for an audition? Any special mindset? Prepare as much as you can, and just be yourself on the stage. Hopefully the committee would like your playing, but if not, the orchestra is not for you. If you teach music students, can you talk about that experience? What engages you in the process? I like to hear students, boost their strengths by encouraging and work on their weaknesses by experimenting with different practice exercises. In May of 2016, the Binghamton Philharmonic held auditions. We are excited to announce the following winners, who join our orchestra this fall. We look forward to making music together! To learn more about individual musicians of the Binghamton Philharmonic, go to “Meet Our Musicians.” You can also go to “Auditions” to learn more about how auditions work. 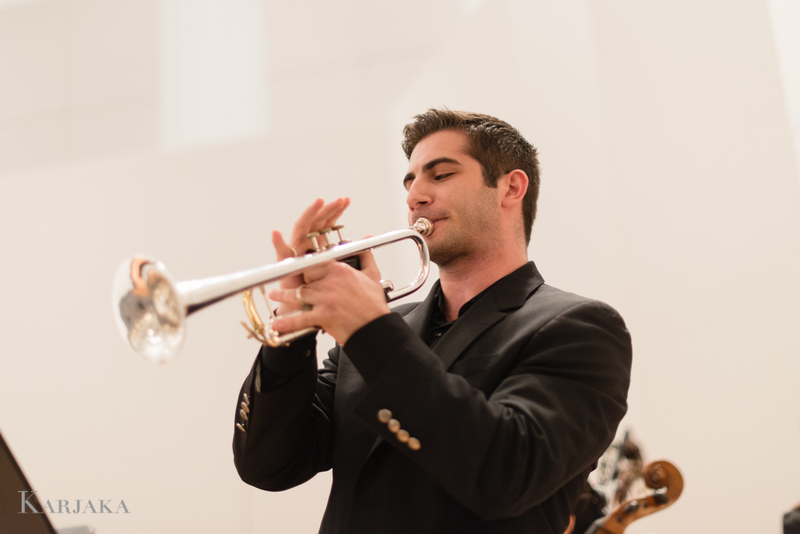 Anthony Limoncelli joined the Binghamton Philharmonic as Principal Trumpet in 2016. He has performed alongside members of the Boston, Houston, and Pittsburg Symphony Orchestras, and under the baton of leading conductors, including Andris Nelsons, Charles Dutoit, Alan Gilbert, and Gerard Schwartz, among others. Anthony was a fellow of the Tanglewood Music Center during the summer of 2016. As a chamber musician, Anthony has performed with brass quintets and mixed ensembles, in venues such as Carnegie’s Weill Recital Hall, Symphony Space, and the FOX News Studios. His chamber coaches include Kevin Cobb, John Rojak, David Finlayson, and Norman Fischer. Anthony holds a BM in Trumpet Performance from the Manhattan School of Music, and is currently pursuing a MM in Trumpet Performance at the Juilliard School of Music under the tutelage of Ray Mase. His other teachers include Mark Gould, Ethan Bensdorf, Mike Klein, and Anthony Bavota.